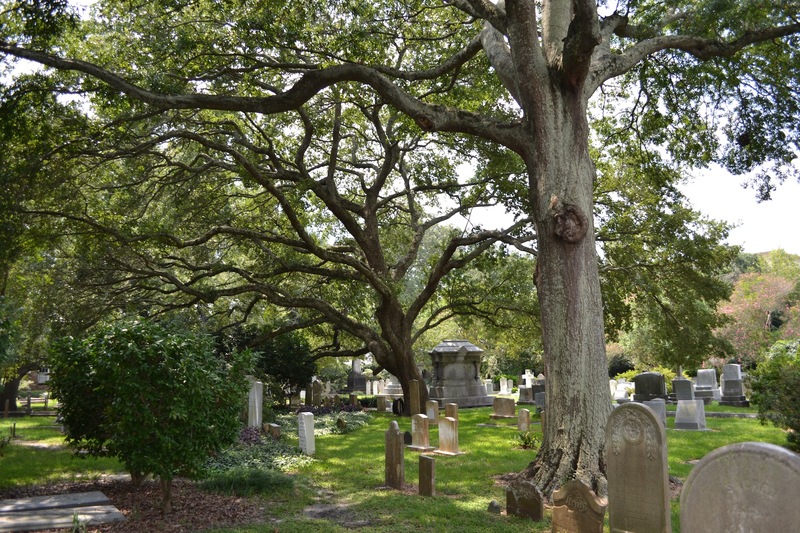 A Divine Appointment: Cemetery Hopping in Charleston, S.C.
Divine appointments are meant to be kept. Especially when you’re in Charleston. Chris and I had our anniversary recently so we planned a beach vacation to Charleston for just the two of us. I don’t think we’d been away from our son longer than two nights since he was born so it was a trip we were looking forward to. We chose Isle of Palms as our home base and were not disappointed. Both of us had been to Charleston as children with our families. I had come back a few times as an adult so my memories were fresher. But I can still remember my first visit, riding a horse-drawn carriage through the streets as a tour guide expounded on the rich history of this enchanting city. You never know what elegant eccentricity you’ll find in Charleston. Photo courtesy of Chris Rylands. This time, I was returning as a cemetery hopper. This meant we were going to spend at least one of our three full days nosing around in cemeteries. Chris kindly consented as he has done in the past when we’re out of state. The fact that he enjoys photography doesn’t hurt. In fact, he took most of the photos you will see in this blog post. One church I was determined to visit was St. Philip’s Episcopal Church. 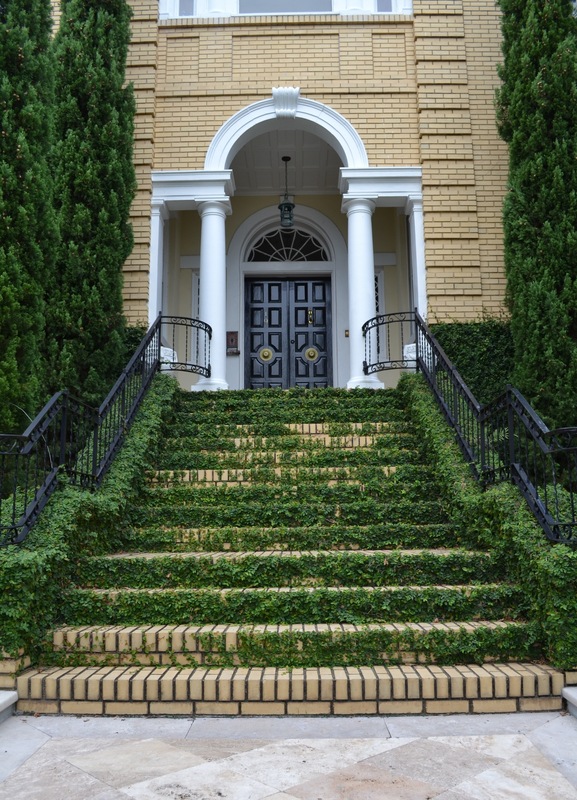 Established in 1681, it is the oldest church congregation in the state of South Carolina. The current building was constructed in 1835 and boasts a beautiful, tall steeple. The gentleman we spoke with there said there is a law on the books that no building in Charleston can be built taller than the steeple. At one point during the Civil War, it was used for sighting during the Union’s bombardment of the city. St. Philip’s chapel bells were actually melted down for the Confederate war effort. 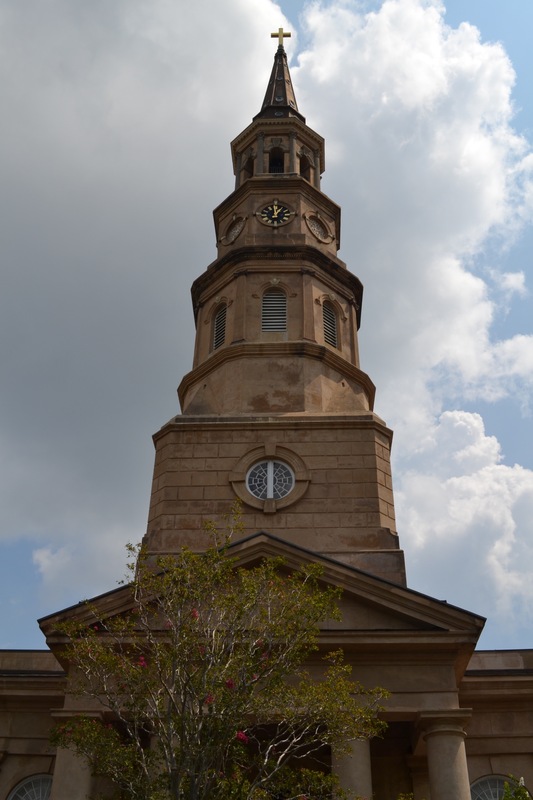 St. Philip’s majestic steeple was designed by E.B. White. Photo courtesy of Chris Rylands. St. Philip’s has a graveyard and a cemetery. What’s the difference? 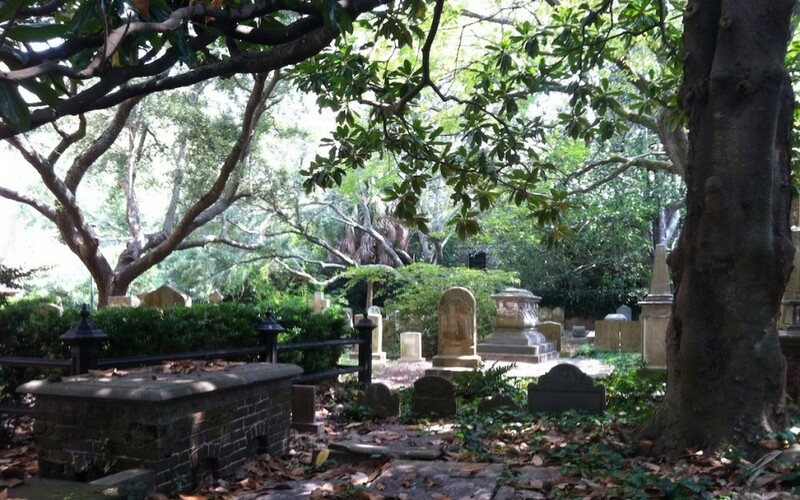 The graveyard is on the immediate grounds around the church and is limited to members of the congregation. Across the street is the West Cemetery, which St. Philip’s is said to have opened for “strangers and transient white people.” Members, however, were later buried there as well. 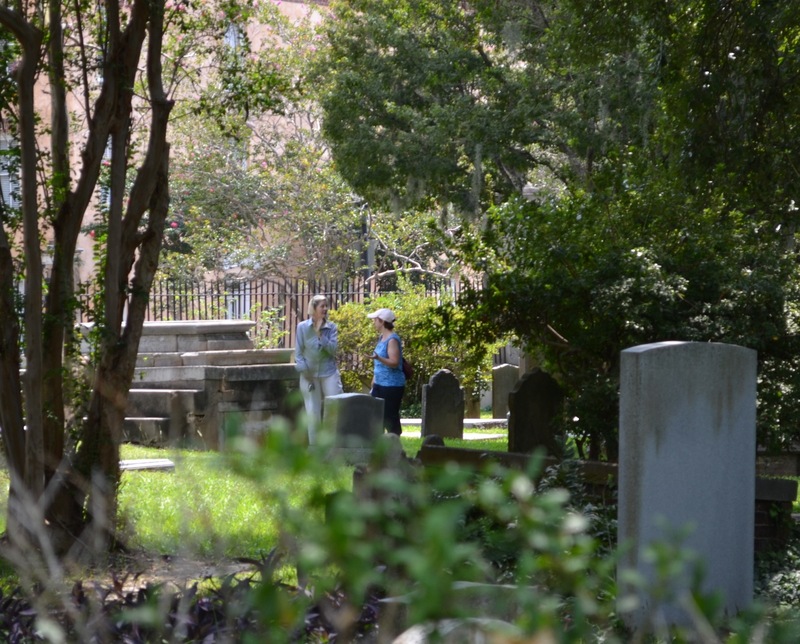 It is an active cemetery and St. Philip’s has a growing membership. The Western Cemetery also holds a number of famous people. Countless founding fathers (and mothers) with surnames like Pinckney, Pringle, and Lowndes are buried here. 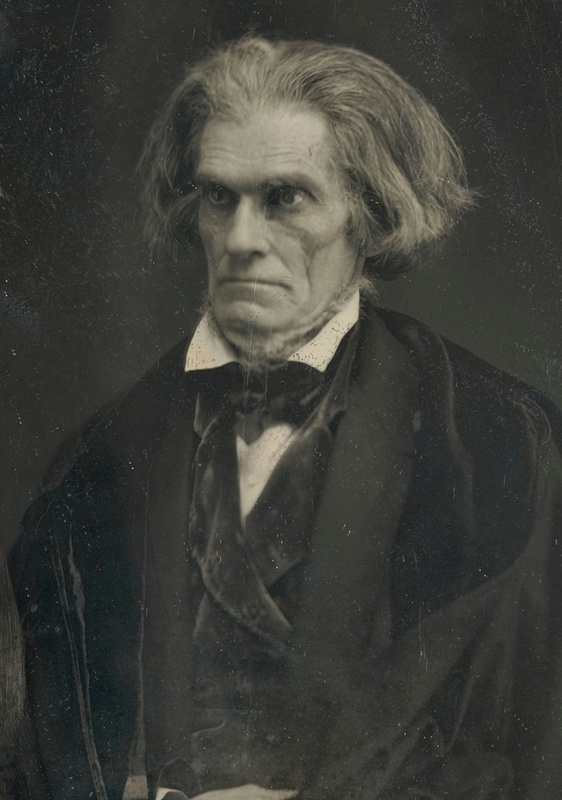 But the most notable has to be U.S. Vice President John Caldwell Calhoun (1825-1832). He was strongly in favor of secession and slavery, earning himself the nickname “the Cast Iron Man” for his ideological rigidity. John C. Calhoun was the seventh U.S Vice President. He died in 1850 of tuberculosis. Photo courtesy of Wikimedia Commons. According to the church’s history, when the Civil War began to break out, there was a great concern that due to Calhoun’s very vocal pro-secession views, invading Union troops might desecrate or totally destroy his grave. Under cover of darkness, his remains were quietly removed from the Western Cemetery and placed in an unmarked area in the church graveyard across the street. After the war, his remains were returned to their original place. 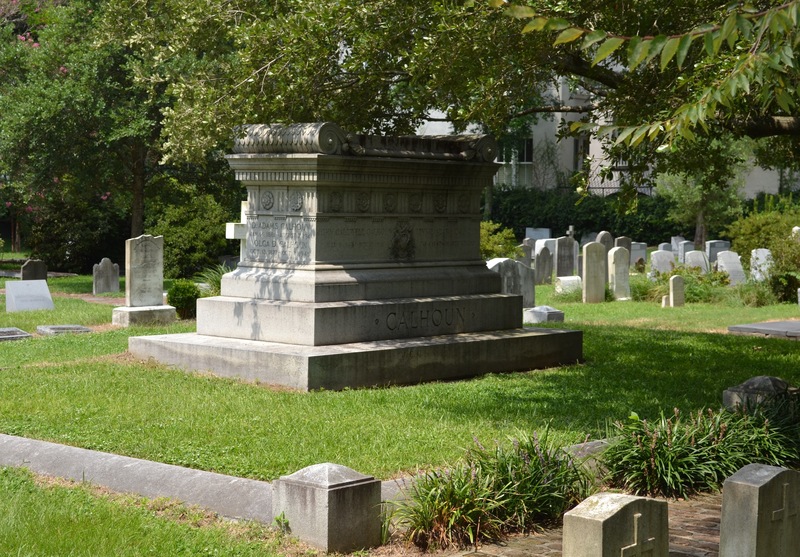 His elaborate tomb was erected in 1880 by the South Carolina State Legislature. During the Civil War, only a few people knew where John C. Calhoun was actually buried. Photo courtesy of Chris Rylands. 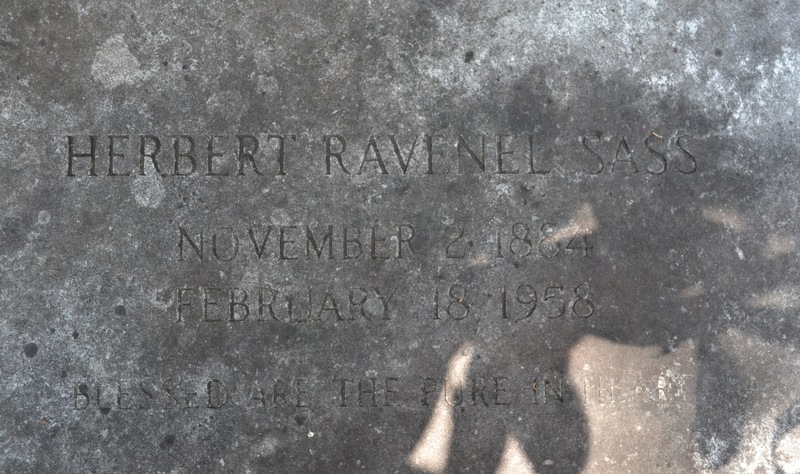 I was also keen to see St. Philip’s because a fellow cemetery enthusiast had mentioned he needed a photo of the grave of South Carolina writer Herbert Ravenel Sass. I had never heard of him before but I was game for the challenge. Sass was a man for all seasons. Among his titles were author, editor, reporter, novelist, ornithologist and naturalist. He wrote passionately about his beloved home state, his articles published in magazines like Harper’s Bazzar, Atlantic Monthly and National Geographic. 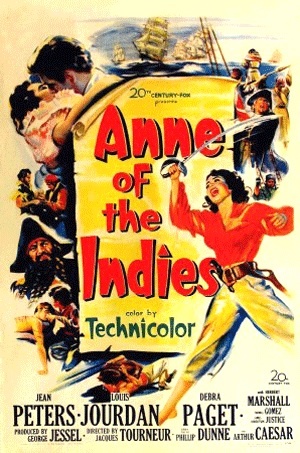 Several of his stories were turned into movies, including The Raid and Anne of the Indies. Sass’ story “Queen Anne of the Indies” was made into a film starring Jean Peters and Louis Jourdan in 1951. All I knew was that Sass’s grave was a flat marker, having seen a less than stellar photo of it on Find a Grave. I knew Chris and I had our work cut out for us. It was a hot, humid day, the kind Charleston is famous for, but we were determined to try. That’s when I arrived for that divine appointment I mentioned. When Chris and I entered the West Cemetery, we noticed two ladies chatting as one of them gently hosed off a grave marker in an attempt to get some mud off of it. After we greeted them, I headed away toward the front corner next to the wrought iron fence line to start looking. I was so intent on what I was doing that when a gentle voice spoke, I nearly jumped out of my sandals. Turning, I saw one of the ladies smiling kindly at me through the fence as she stood on the sidewalk. She apologized for spooking me and mentioned that there was a particularly interesting grave close by, if I was interested. We began chatting and she asked if there was anyone I was specifically looking for. I mentioned Sass and I could immediately see the shock in her face. God’s timing suddenly became very real. Unbeknownst to me, Chris managed to snap a picture of me talking to Dotty. Her help and kindness were invaluable. Photo courtesy of Chris Rylands. Dotty (her full name is Dorothy Parkin Pratt-Thomas Leonard) began to share with me that her parents, now deceased, had been friends of Sass and had purchased his home from him. Her family had lived in it happily for many years, and Dotty had fond memories of the place. She had known the Sass family intimately and was in the process of writing a paper on Herbert Ravenel Sass for her book club. Dotty then led me over to Sass’ grave, first pausing at playwright Dubose Heyward’s grave. Sass and Heyward had written the book Fort Sumter together. We stood at the Sass family graves as Chris took pictures. I was too stunned to be of much use in that department. I am not sure if I would have found them had Dotty not been there to show us. Herbert Ravenel Sass was a man of many talents. His grandson, Herbert Ravenel Sass III, was elected a county councilman in Charleston in 2011. Photo courtesy of Chris Rylands. Dotty also pointed out her parents’ graves nearby. Her mother had recently died in 2012. It was clear she missed them very much. She excused herself soon after. But I think our chance meeting that day was as special to her as it was to me. I hope it was. I have no idea why I crossed paths with Dotty on that sweltering hot day. What I’m learning as this journey I am taking unfolds, is that it is better not to ask or to question too much. Some things are simply meant to be. Because divine appointments are always right on time. Photo courtesy of Chris Rylands.